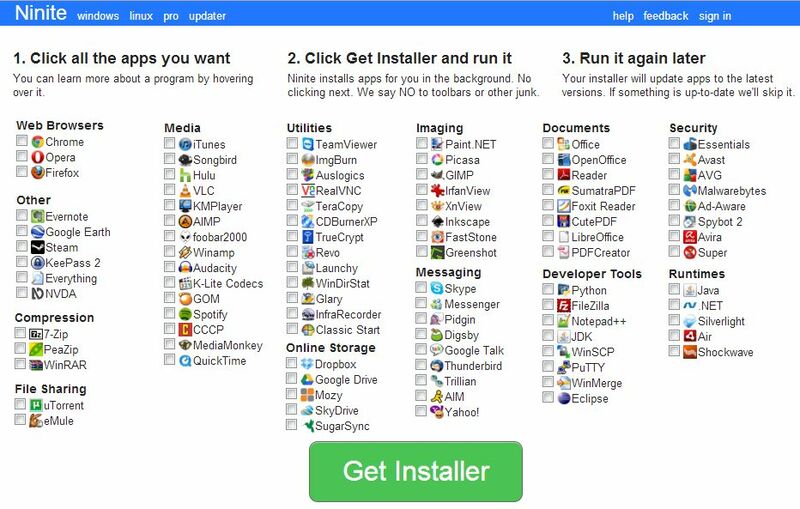 Administrating Linux via graphical interface is not common, however sometimes it is necessery. 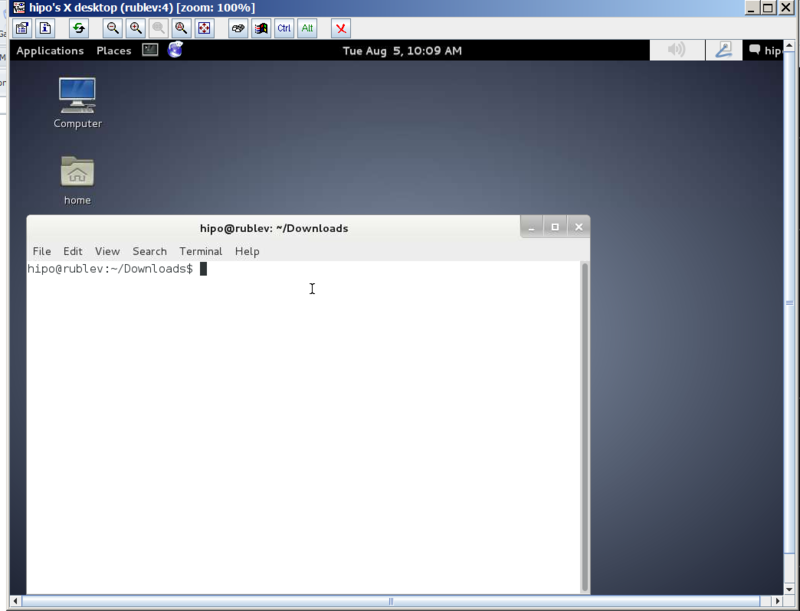 There are plenty of ways to remotely administrate with GUI Linux. 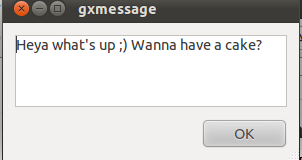 You can connect to remote Xserver and launch X session via xinit, connect via (Gnome Display Manager) GDM, use nomachine NX server / client (if you're on slow connection line) or use the good old Teamviewer. As Teamviewer works pretty well on both Windows and Linux in last times I like using teamviewer as a standard. 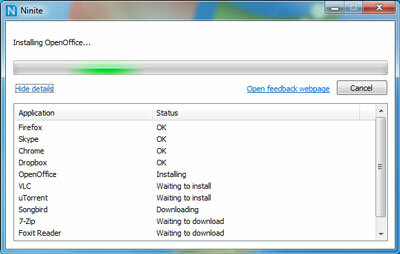 It is freeware and it often disconnects with the annoying Trial message, but in general for managing something quick on remote desktop it is nice. 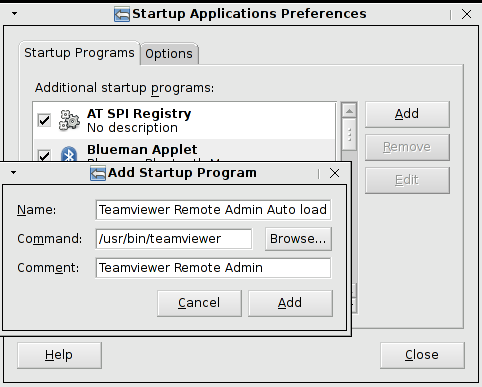 Once package is installed teamviewer is installed in /opt/teamviewer/* there is a tiny wrapper run script in /usr/bin/teamviewer – evoking TeamViewer to be run via wine emulation. 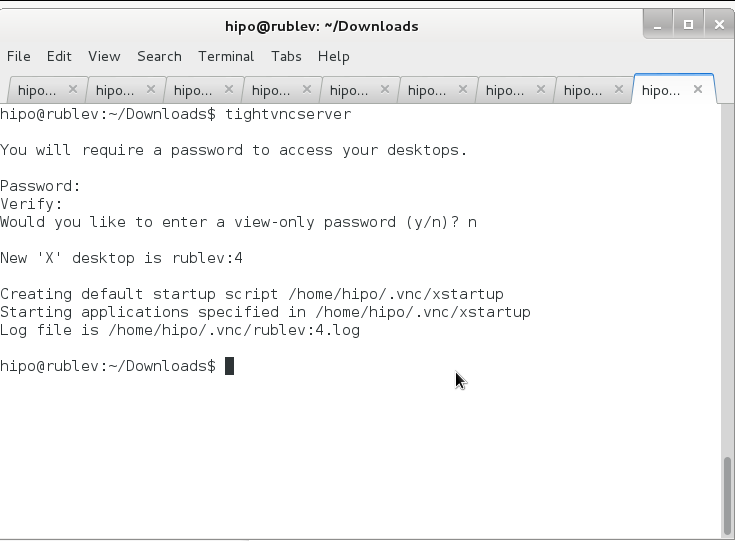 Hence to make TeamViewer start on certain user GNOME login the script has to run on GNOME user login session. A window like in below screenshot pops up and from there Add TeamViewer.